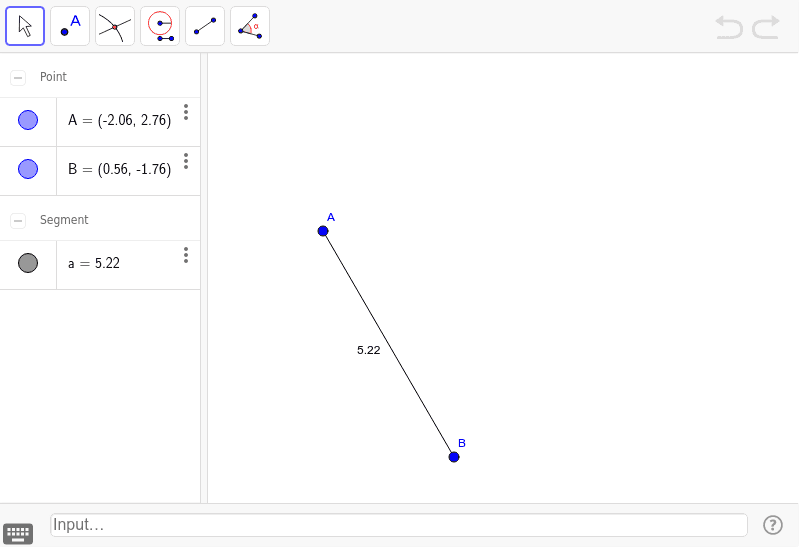 Create a line perpendicular to segment AB only using lines segments, points, and circles. You cannot use a grid or measuring device to do this. Create a line perpendicular to segment AB only using lines segments, points, and circles. When done use the the measuring tool to show that the segment is the same length. You cannot use a grid or measuring device to do this.